Your company's ability to trust and believe in your vision is dependent on your strategic narrative. This narrative takes your three stories- Who Am I?, Who Are We?, and Where Are We Going?, and blends them into one narrative. 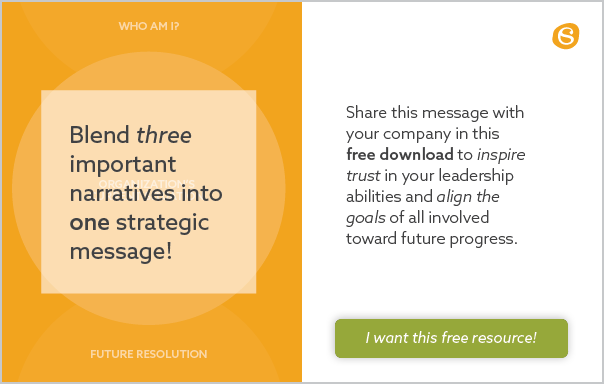 It is the final piece of the puzzle that will push your company towards your goals and reach achievement.